via Instagram http://ift.tt/2o9E0Vc …what did they awaken!? ?? via Instagram http://ift.tt/2oHSxKx New leaves at the Tuacahn, Ivins, Utah. via Instagram http://ift.tt/2oHV58k Happy springtime! We did get a taste of spring before the snow came back. via Instagram http://ift.tt/2oB7AT6 Chuck Norris’s calendar goes straight from March 31st to April 2. No one fools Chuck Norris. Winter in spring? Chuck Norris started his routine outside – now it’s spring. I love the look of old glass. It has unique imperfections that really make the feeling of a photo. The newer glass is almost too perfect. They have successfully eliminated the character of uniqueness through perfected manufacturing processes. I recently purchased a mint copy of the Jupiter 37a lens from a Russian auction. It shipped from Moscow and arrived to my home only a little over a week later. I purchased this lens for its uniqueness in creating creamy smooth bokeh. My brother Nathan Arizona recommended it and after seeing many example of excellent bokeh swirls I decided to get one. I have also added an old macro lens to my collection – the Minolta Rokkor 50mm. 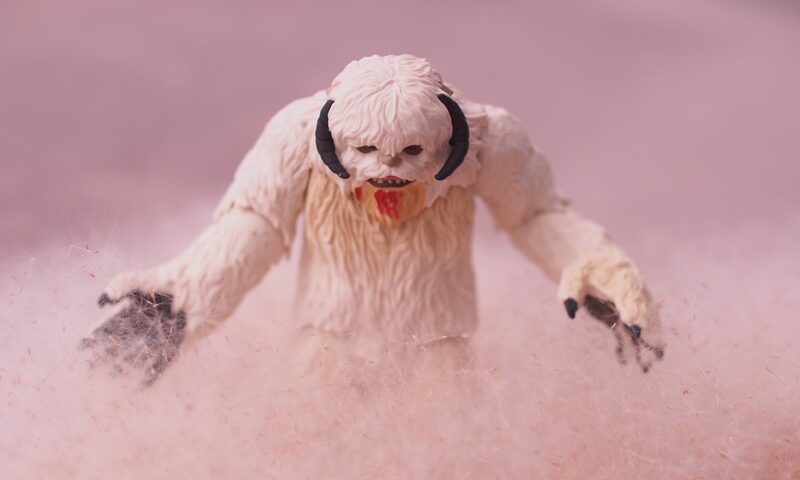 It has added more dimension to my toy photography with its imperfections and it’s perfect focus at close range. I recently found an old video lens at a local thrift store – it was only a video telephoto 2x lens and was made during the age of videotape. It was $10 so I decided to pick it up. Obviously, the poor quality of this cheap lens hampered my photos by destroying to look of some of my higher end old lenses. I tried attaching it to the end of my Russian Jupiter 37a lens and the results were horrible. So I decided to disassemble this video lens and use the inner elements. I liked how big the glass was and it looked relatively unscathed. The front element had a bit of coating on it which allowed for some interesting colors and reflections while photographing it. I disassembled this lens to use the glass elements! About the same time that I acquired this cheaply built old lens I also received a Charlie Chaplin figure in the mail from Minifigures.com. I was trying to figure out how to use him in a shot, and these elements lent me some ideas! I thought how cool it would be for Charlie to stumble into unknown territory. Unknown even to us in all our futuristic grandeur. The lens worked perfectly for this setting. I love using my old glass to create new feeling mixed with a retro feel and look. Plus it has the added benefit of being super affordable. Old glass on a newer camera body means it has to be manually focused and controlled. Using manual focus has taught me so much about the technical side of photography. I love being able to change every little detail and setting to get that perfect feel that I am looking for. Old glass does not mean poor quality. I have found that some of my old lenses rival my newer autofocus lenses. And they have the added benefit of character that is hard to reproduce. I also find it interesting that there are now so many new applications that allow the user to “add” character to their shots. I guess we miss that feel that comes from character and glass. It is fun to add these details to the image while composing. Even more fun than in post processing! via Instagram http://ift.tt/2mZR5D7 I captured Ralph’s final moment…? It was a sudden demise after inching toward my boy who frantically swat him. Poor Ralph…? via Instagram http://ift.tt/2nW9Fvc Thanks for the tag @the_aphol @reiterlied for #march2017favetoyfotos. I could chose pretty much all my shots – but a collage with all of them would make them too small to see… so I just chose four. March saw a lot of umbrellas, and I feel I learned a lot about perspective and blur. I also acquired my first dedicated macro lens! I tagged a few of you – if you aren’t tagged consider yourself tagged – join in!? ?